Easy.Fast.Delicious. It's everything you need and want for a fast side dish! 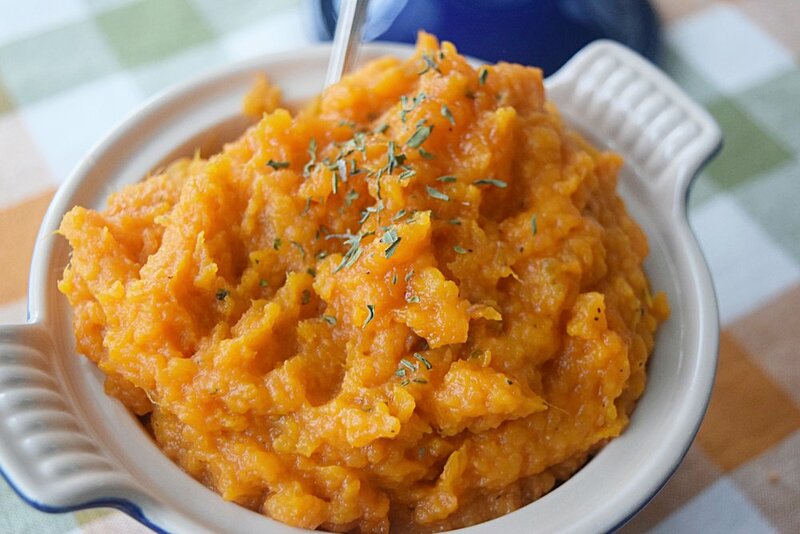 This fast and simple sweet potato mash takes no time to whip up, but will have everyone wanting to know how you made them! 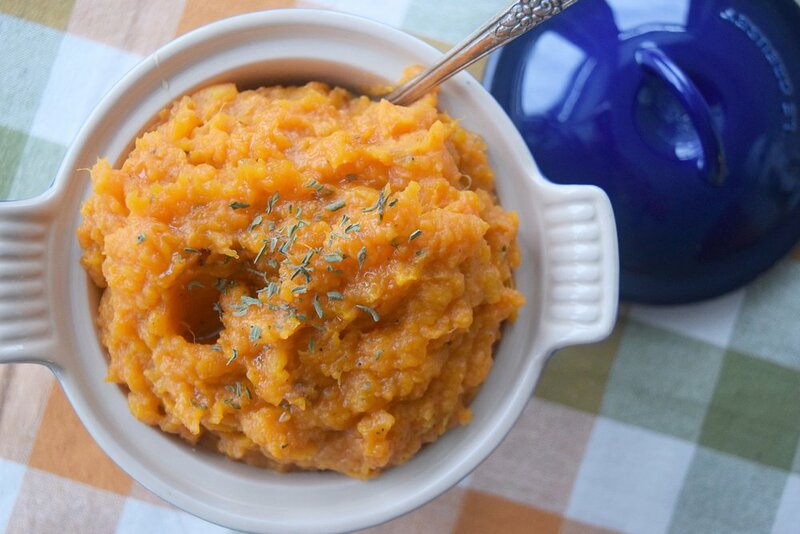 I have made many batches of mashed sweet potatoes before, and I usually use rosemary to flavor them. This time around I wanted to try a new flavor profile, and boy oh boy did I find one that I love! Mouthwatering savory and nutmeg add a wonderful herby flavor and a small amount of honey brings out the natural sweetness in the sweet potato. I added a little bit of butter into my mash (it is the holidays after all ;)) but you could easily use some coconut oil to make this a dairy free side dish! In a large pot, add cubed sweet potatoes and cover with cold water to cover. Bring to a boil and cook until a fork inserted into the sweet potatoes pulls out easily. Drain cooked potatoes and return to pot. Add in all other ingredients and mash with a large fork or potato masher. Make sure you taste and adjust your seasoning as needed! !